Open Bowling*** Please call ahead during the Sept-May bowling season to confirm lane availability during the peak league times of 6-9:30pm Mon-Friday! Come bowl! We've got great bowling lane conditions (see below), a fun atmosphere and a great staff to help give you some tips. Our goal is for you to leave smiling and come back often. Want to make the experience more fun? Set up a private or group lesson. With a few tips your score will shoot up. Also, don't be shy to ask our lane attendants for tips. Most of them are great bowlers! Be sure to check out our daily specials! Since 1960 we have been serious about league bowling, hosting the pro tour at the tour's height in the late 1970's here in Cranston RI. We offer a wide variety of league options and times. For more information, contact our ace league coordinator, Denis Leveilee, (he's been at Lang's since 1973, so Denis KNOWS league bowling!) at 401.944.0500. We love kids and kids love bowling. It is physical, fun, safe and a big ball crashes into pins! 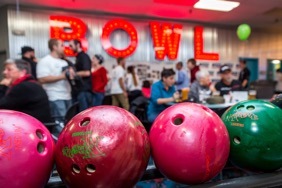 We also offer great bowling parties, so check out the Events and Party page, too! Put simply, our general manager, Carl DeRosa, is the Michael Jordan of bowling mechanics: in a class by himself and tirelessly commited to perfection! Carl is quickly getting us to world class status. To top it off, we added a Kegel Walker state-of-the-art, robotic bowling lane oiling machine. Check out our new #EatDrinkPartyBowl Blog! For great articles on bowling, parties and more - head over to our blog and see what we're up to! We'll be posting great articles on the benefits of teambuilding, bowling tips, and progress on renovations! Plus subscribe to our newsletter for the latest updates and special coupons! 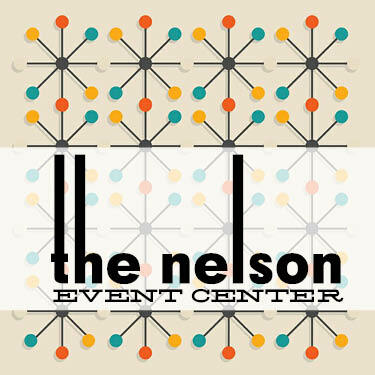 Introducing The Nelson Event Center! Host the best party ever in our beautifully renovated space! Visit The Nelson for more info!